Tilly loves watching Matilda and The Ramsay Bunch on CBBC and has been inspired to start cooking. 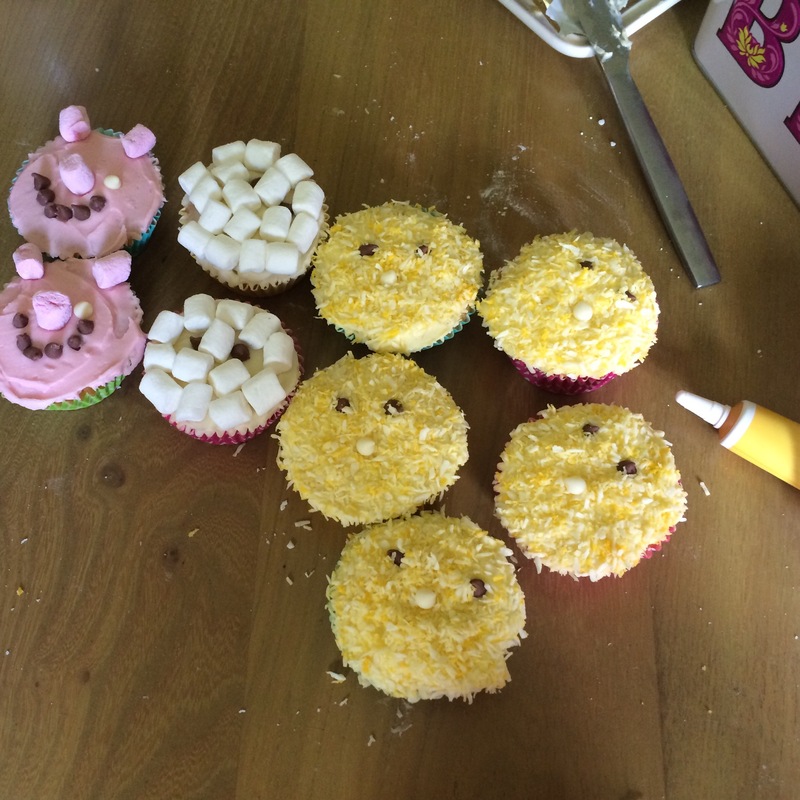 We’ve had a rock pool salad (with carrot fish) and these lovely pig, sheep and chick cupcakes. Beautiful! I love the pig.